Can't wait to start on this project! But I have a number of other quilts that are ahead of it on my list, so I'll have to be content with just collecting fabrics for now. The pinks are a range of raspberry pink and the greens are various shades of apple green! 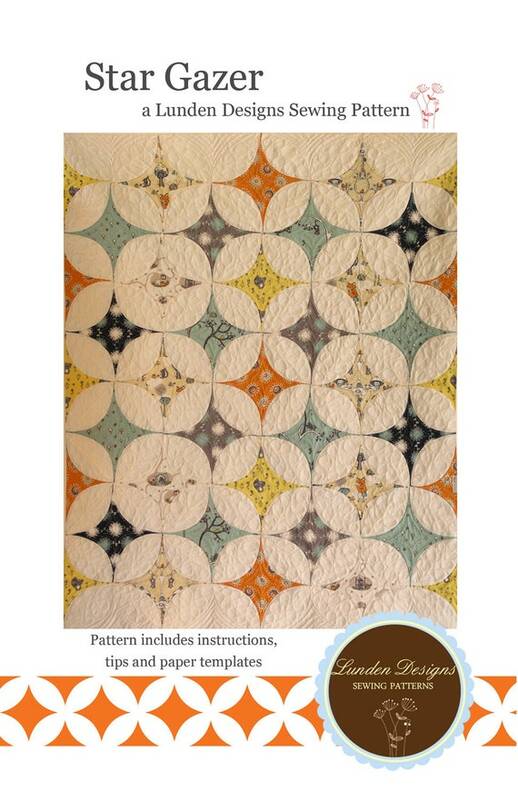 The pattern for the quilt is called Star Gazer and it's available here in Lunden Designs Etsy shop. It's a PDF download, so no having to wait for it to come - just purchase and download! The pillow cover features 3-D butterflies and the pattern is from Chitter Chatter Designs. These should be a lot of fun to make and collecting fabrics will be a great way to pass the time until I can get started! Oh love the butterflies! The pattern is really cute also but I LOVE the butterflies! Can't wait to see it all finished!